The Graphene Flagship is a large research project spearheaded by Chalmers in Gothenburg which has been been entrusted to coordinate activities around the super material graphene. The initiative began in 2013 and the budget for the next ten years is about SEK 9 billion, half of which comes from the EU and the rest from institutions and companies. The program comprises 126 academic and industrial research groups from 17 European countries. Professors Jari Kinaret and Tomas Löfwander are leading the project at Chalmers. The purpose of the Graphene Flagship is to transfer knowledge of graphene, and other nanometer- thin materials, from research laboratories to companies for the industrial production of innovative products. Researchers and the EU hope that this initiative will contribute to economic growth and job creation in Europe. The research is divided into eleven regions including Sweden. Besides Chalmers, teams from the Karolinska Institute are examining the health effects and how graphene affects biological surfaces, such as cells. Furthermore, participating Linköping University has developed a method to fabricate graphene, and Umeå University is developing methods to use graphene to store hydrogen for fuel cells. Graphene consists of carbon atoms joined together in hexagons, forming a honeycomb structure just one carbon atom-thick. In this two-dimensional structure there occurs some quantum mechanical effects, which in combination with the carbon atom properties offer a variety of unique features. Graphene is harder than diamonds and stronger than steel. It is the thinnest material on Earth. As if this were not enough, the material is flexible, lightweight, translucent, dissipates heat and conducts electricity 200 times faster than silicon. Researchers and industry are now talking about a new super material. Ideas for using graphene for environmental benefits are multiple. During the 1930’s, plastics were introduced as a material with amazing properties. Everything from coffee mugs to space rockets could be built in plastic. Plastics were a super material. Most of the predictions came true and a world without plastics is now difficult to imagine. Now it seems the time is right for a new super material. Scientists Andre Geim and Konstantin Novoselo shared the Nobel physics prize because they succeeded in isolating graphene. Graphene is strong, and conducts electricity faster than any other material. 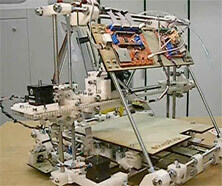 It can be used in the production of flexible, transparent screens, for example. Picture courtesy of the Graphene Flagship, Chalmers University of Technology. Since carbon is the fourth most abundant element on Earth, there may be unlimited amounts of graphene available. And the potential is huge. Graphene can create new conditions for entire industries. Electronics, medicine, aircraft, sporting equipment are just some examples of possible uses for graphene. Graphene Flagship is a large-scale research project led by Chalmers University in Sweden and aims to link researchers with industry to develop applications for the new material. Manufacturers of sporting equipment are often open to testing new materials that provide their products with improved properties. Materials that are lightweight, strong and have low friction values ​​are particularly interesting. For example, there are already tennis rackets that contain graphene in the shaft to provide a lighter, stronger racket, which gives more dynamism in the swing. Skis that contain graphene are coming and the possibilities are also great in cycling, sailing and swimming. 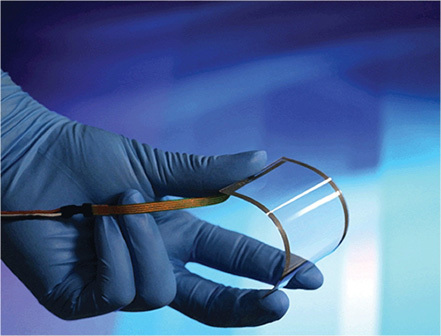 In the electronics industry, one also sees opportunities with graphene. 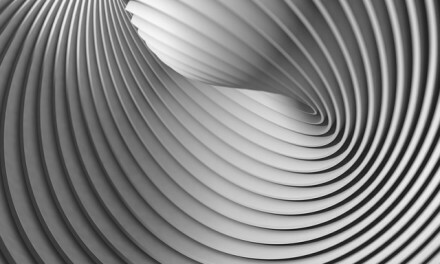 Bendable screens and displays are already under long time development. Batteries, sensors and electronic components are the next candidates for graphene, something that a number of companies see as a huge potential. There are many indications that it is possible to develop much more efficient solar cells with graphene. Finding materials that can replace metal in the electrodes in solar cells is something that has long kept scientists puzzled. It seems that graphene could fit in and at MIT in the U.S. a group of researchers discovered that the carbon structure of the graphene would work as electrodes. The biggest challenge was to get the carbon to attach to the surface of the solar cells. Aqueous solutions, which are the most common method, did not work. It was only when the researchers tweaked the structure of the solar cell surface and made it unclean could the graphene adhere. According to the researchers, the advantage of graphene is that the material is transparent and thus does not prevent the solar energy from reaching the solar cells. Furthermore, it is malleable and blends in with the other materials in solar cells. With graphene, each carbon atom is bonded to three other carbon atoms. The surface of the material is large in proportion to its weight, which makes it a great absorber. One gram is equivalent to an area the size of a football field. One possible application in the environmental field is therefore the cleaning of contaminated soil and water. Here, the researchers have shown, for example that graphene oxide has great capability to quickly remove radioactive contaminants from wastewater. The desalination of seawater is another area where grapheme can be of great importance in the future. The current methods require high pressure and significant energy consumption but graphene – with its single atomic layer – could function as a filter that removes all the other ingredients in water besides water molecules. Given that graphene is a new material, there have been many questions surrounding both large-scale production and possible effects on humans and the environment. The material consists of very small particles (nanoparticles) and has a number of unique properties. Gaining a better understanding of the risks to human health and the environment is important, especially considering that graphene can be widely distributed, and can be used in medical applications in the human body. Within the Graphene Flagship there is a dedicated work group focused on safety, toxicology and environmental impact. 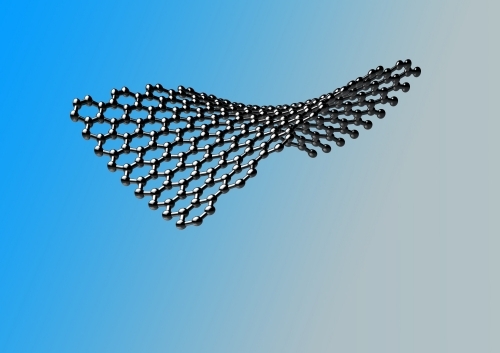 To produce graphene on a laboratory scale is one thing. But to mass-produce the material with current methods appears to be an energy demanding process. Researchers at Chalmers have therefore focused on methods of production that could become important in the future: ultrasound and chemical reduction. By evaluating the energy, water and chemical use during the entire life cycle of graphene , researchers were given an understanding of the overall environmental impact and resource use. 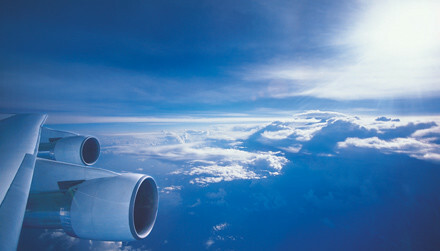 The study showed that both chemical reduction and ultrasound would require twice the energy needed to produce aluminum. By modifying the ultrasound method researchers could reduce energy consumption by about half compared to the production of aluminum. By bombarding graphite with ultrasound with specific solvents, loose graphene-flakes could be produced while the solvents could be reused thus reducing environmental impact and resource use.